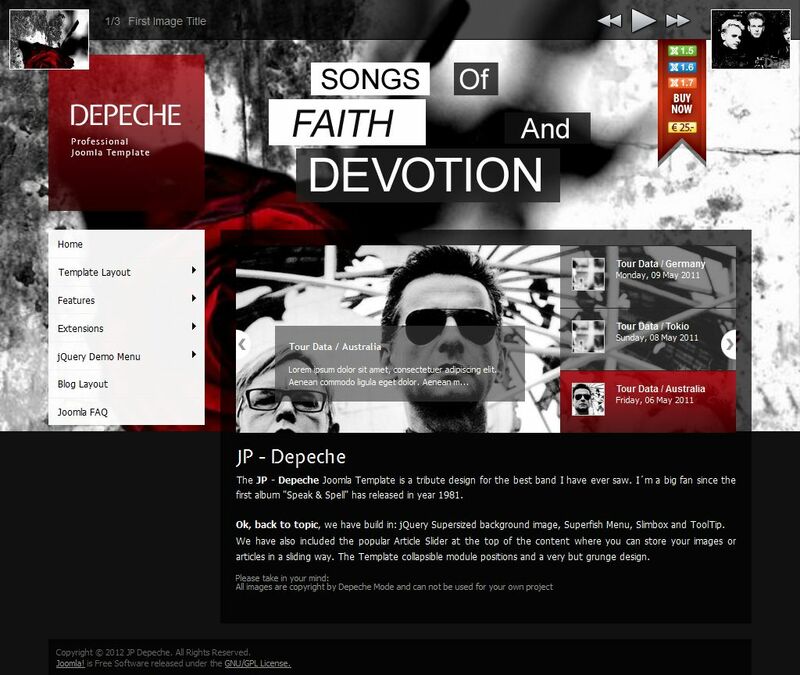 JP Depeche - an unusual pattern studio Joomlaplates, which is a tribute to the designers group Depeche Mode. It is suitable for lovers of various musical genres and music fans will be calling card. In the template includes the following features: scalable background image with the possibility of representation in the form of presentations with dynamic change and flexible menu Superfish. This template provides a high speed of loading pages and convenient foldable modular design. Club Article Slider module provides the user with a decent set of tools to organize images and articles. Pattern in the style of Grunge.